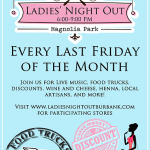 Ladies Night Out In Burbank Keeps Getting Better & Better! I love Ladies Night Out in Burbank at the end of each month. But, that’s not the confession….. I wish I could go without my kids. There’s a reason why it’s called Ladies Night Out…. Don’t get me wrong, my kids are always excited when we go..they love the food trucks. They get excited when I tell them what trucks will be there and last night my 3 year old and I danced our hearts out to the band in front of Playclothes. But, it’s such a lovely opportunity to shop and listen to music and stay up late (and yes, by late, I mean 9pm), that I kind of, sort of…wish I could go it alone. But, every time we go, we have a blast and I’m glad my children all get to see some great age-appropriate night life in our favorite SoCal town! 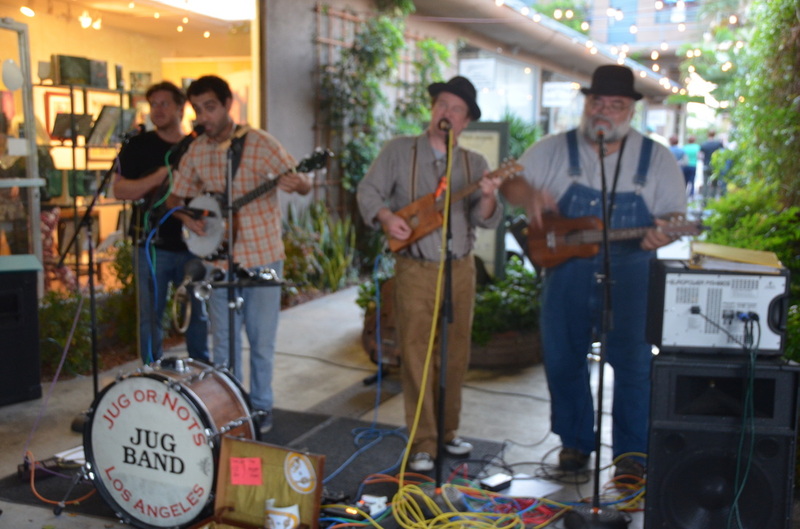 Jug or Nots… we could listen to them all day! 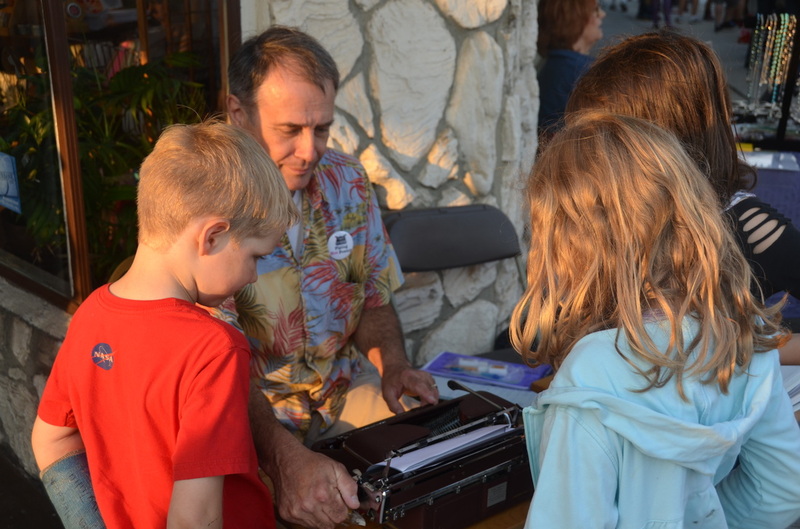 I am not joking when I tell you that when we stopped outside of MindfulNest, Boyce Miller of Piping Hot Poetry, must have spend 20 minutes explaining to the kids what a typewriter does…and is. My kids were actually touching the parts to see how it worked. Mr. Miller was a very kind and patient man, giving them all the time in the world to explore this seemingly pre-historic form of art. You can find Piping Hot Poetry outside of MindfulNest every Ladies Night Out…he’ll create you some original poetry while you shop! 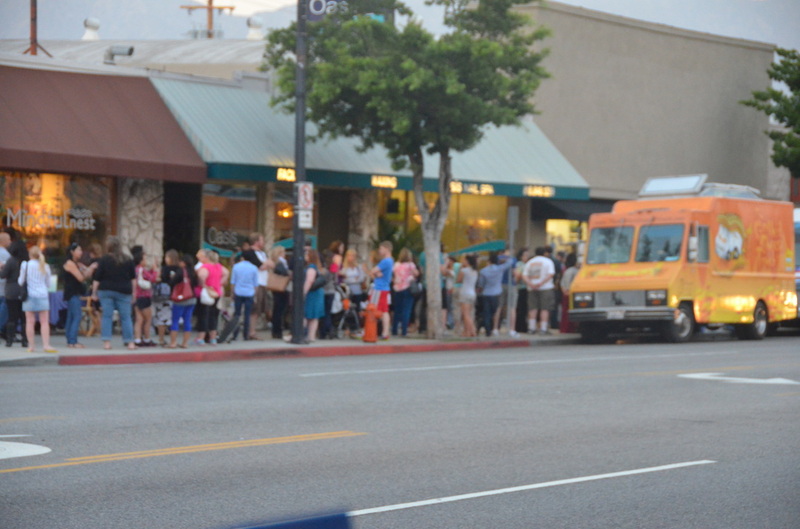 The line for the Grilled Cheese Truck always fascinates me. 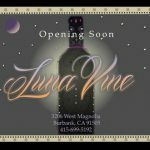 Luna Vine Wine Bar will be opening soon! 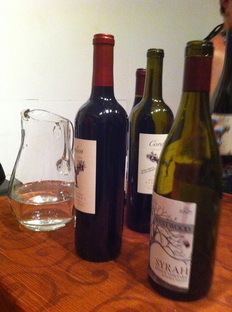 They were giving tastings last night. 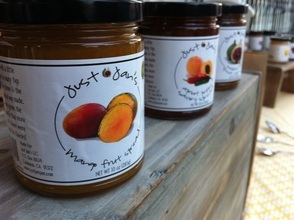 It’s That Time Again!!! 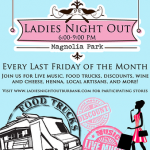 Ladies Night Out Will Rock Magnolia Park Friday Night. We Love Ladies Night Out in Burbank!!! 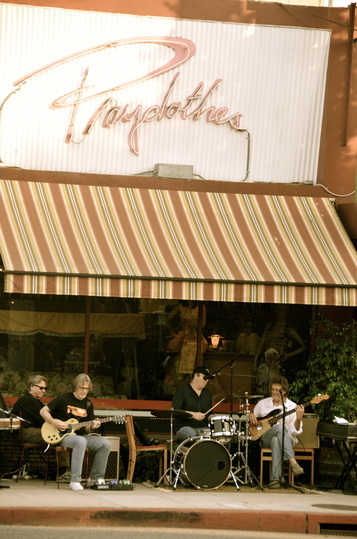 It’s Ladies Night Out In Burbank Again….Tonight!